As each passing year continues to break heatwave records, living a sustainable, eco-friendly lifestyle is becoming increasingly important. We list 20 of the greenest destinations on Earth and discuss how the rest of the world can take a leaf from their biodegradable book. The autonomous Portuguese archipelago made up of nine volcanic islands has been named one of the world’s most sustainable destinations in the Sustainable Destinations Global Top 100. 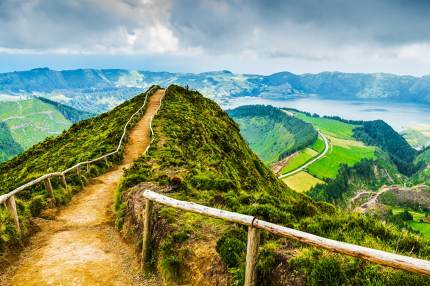 The Azores have earned their green credentials with a host of policies tapping into renewable energies – wind, geothermal and biomass – which currently generate 28% of electricity on the islands, with plans for the world’s first 100% renewable grid currently in motion. Protecting the local wildlife and environment is also important to islanders. The number of protected areas, including UNESCO Biosphere Reserves and European Geoparks, is continually on the rise. There is also a raft of well-regulated snorkelling, diving and whale-watching trips which represent the best ways to experience the local marine life, from dolphins, turtles, sperm whales, seabirds and pelagic fishes to cold-water corals. 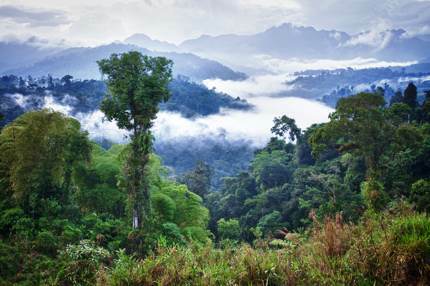 The first country to recognise the rights of nature in its constitution, Ecuador has been named the World’s Leading Green Destination at the World Travel Awards for six years in a row. As well as laying claim to the Galapagos Islands, Ecuador boasts a huge chunk of Amazon rainforest and is one of the last bastions of South American cloud forest. The country is not without its environmental issues (tempting oil reserves lie beneath the rainforest), but it remains one of the most biodiverse destinations on the planet and offers some of the best eco-lodges in South America. After being heavily bombed in World War II, this small German town rebuilt itself from the ground up using ecologically friendly methods, as well as implementing considered planning and engineering strategies to ensure where people’s daily needs are within walking or biking distance. 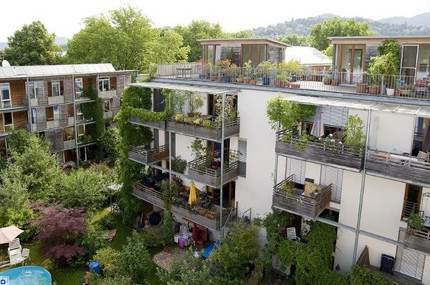 In addition, Freiburg consolidated its ‘green’ status with local laws requiring that new houses to use no more than 65 kilowatt-hours of heating energy per square meter per year, 10 kilowatt-hours lower than the national standard. Solar panels can be found on almost every building in Freiburg; in fact there are 60 homes in the city that create more solar energy than they consume, earning 6,000 euros per year for the residents. If you’re visiting Rwanda on the last Saturday of the month, then you better pack a litter picker. Why? Because your trip will coincide with umuganda, a community day of national housekeeping where every citizen (including the president) goes out to clean the country. This monthly spruce up and the ban on plastic bags make Rwanda one of the cleanest nations on the planet. But that’s just the tip of this African gem’s eco iceberg. Thanks to its conservation efforts, Rwanda’s endangered mountain gorillas, along with lions and rhinos, are thriving, and their Vision 2020 plan will see the nation cover 30% of its land with reforested areas. There is a significant government initiative that will see the majority of Rwandans take part in monthly community work, building schools, medical centres and hydro-electric plants, as well as rehabilitating wetlands and creating highly productive agricultural plots. 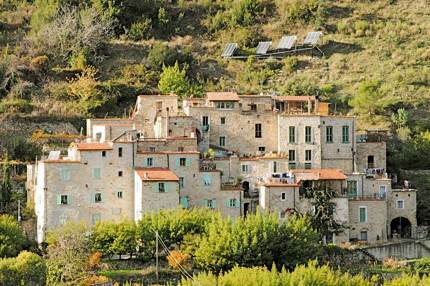 Thought to date from the late 13th century, the medieval village complex of Torri Superiore in the Ligurian Alps is an eco-village that has been restored by its small community using sustainable wood, environmentally friendly paint and local materials. With just 20 permanent residents, who live alongside the local livestock, the commune is a triumph of sustainable living where hot water is heated through solar panels, the toilets are compostable and food is grown on-site in permaculture gardens and fruit orchards. Visitors can stay in the village, learning about sustainable living and taking part in work exchange holidays. Being the first country in the world to legalise weed, you may think that ‘green’ takes on extra meaning for the people of Uruguay, but this South American nation is actually a haven of environmental goodness. Wind, water and agricultural waste generated 95% of Uruguay’s electricity as of 2015, and the government plans to institute a 100% renewable initiative by 2021. 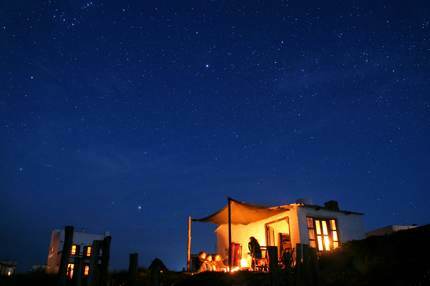 Its hippie enclaves, like Cabo Polonio on the coast, are also wooing tourists with a back to basics lifestyle of no electricity, no roads and communal candlelit meals. 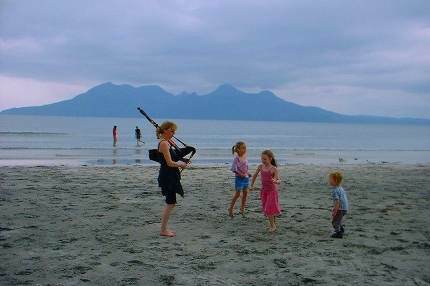 Floating off the coast of mainland Scotland, The Isle of Eigg is owned by a consortium of local residents, the Highland Council and the Scottish Wildlife Trust, who pooled their resources together in 1997 to buy the island. Since signing the deeds, Eigg’s empowered owners have established the world’s first completely renewable electricity grid (using sun, water and wind), and developed a sustainable ecotourism industry that ensures the island remains a haven for wildlife such as minke whales, golden eagles and puffins. They’ve also opened a cosy community pub called the Whales Head, which, in true Eigg fashion, has a round pool table. 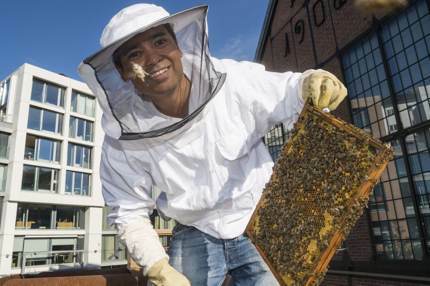 When it comes to radical thinking and ethical living, Bristol delivers. The 2015 European Green Capital has not only achieved impressive feats such as its zero-waste-to-landfill status, but it continues to push the boundaries of inventive renewable energy schemes. 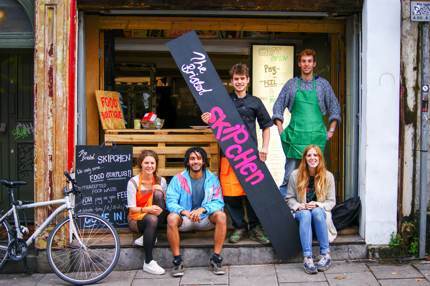 Bristolians use less energy per household than any other UK city and have even brought new meaning to the concept of sustainable food, with places like Skipchen – a café that makes dishes from previously discarded food ingredients – grabbing headlines for all the right reasons. When it comes to environmental protection, the Swiss are militant – and who can blame them? They want to preserve their wonderful, snow-shrouded mountains, rosemary-coloured hills, trickling streams and world-class skiing. They’re also fields ahead in the race to be green. 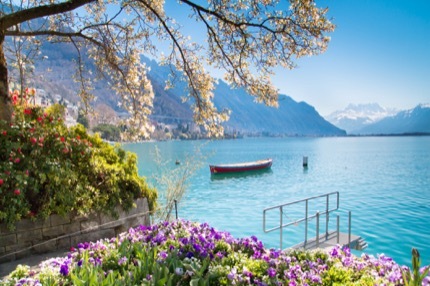 Consistently ranked number one in the world for sustainable tourism in the Global Travel and Tourism Competitiveness Reports, Switzerland continues to reduce emissions, embrace renewable energy, improve water quality, and commit to maintaining biodiversity. 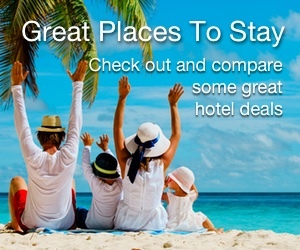 Thailand take heed – this is how island tourism should be done. 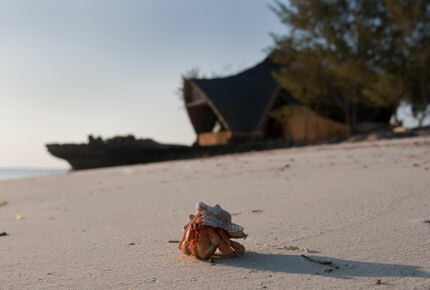 Privately managed by a non-profit organisation (the only one of its kind in Africa), tiny Chumbe island is breaking ground when it comes to marine conservation. Just 32km (20 miles) off the coast of mainland Tanzania, Chumbe’s shallow turquoise waters are home to one of the most spectacular reefs in the world. Only a select few guests are permitted to visit the island and stay overnight at any one time, with rustic eco-lodges situated within the island’s forest reserve offering a unique off-grid experience with no Wi-Fi, no TV and no worldly worries. 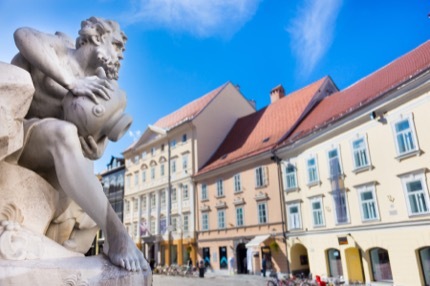 In the past decade, the biggest city in Slovenia has turned its environmental sustainability around, becoming the first capital in the EU to take part in the ‘zero waste’ programme, and working tirelessly to create and preserve its public green areas which make up a third of Ljubljana’s territory. The city centre, once dominated by cars, has shifted its focus to pedestrians and cyclists. The results? 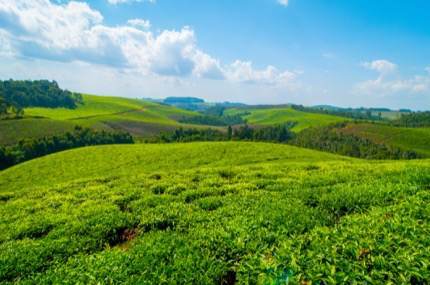 They won the title ‘European Green Capital’ in 2016 and are now continuing to push towards a sustainable zero waste tourism initiative that will see drastic improvements to the country’s sustainability and eco-friendly industry. Sustainability has been a way of life for Norwegians for decades now, so much so that you don’t notice it anymore. The only exception to this rule is Oslo where they seem to keep ‘one-upping’ themselves each year. The list of eco-certified hotels here is perpetually growing, and Vulkan, its eco-friendly neighbourhood has a series of 300-meter deep geothermal wells that heat all its buildings in the winter and keep them cool in the summer. Iceland is a land of staggering natural beauty. Located on the mid-Atlantic ridge, it’s also one of the most tectonically active places in the world, with over 200 volcanoes and 600 hot springs, as well as numerous glaciers and waterfalls. 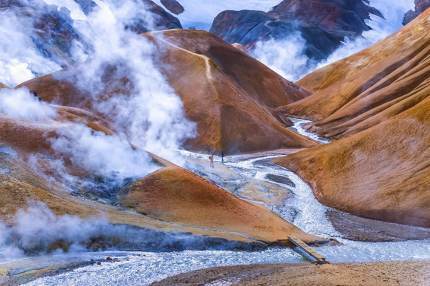 This abundance of natural hydro and geothermal resources supplies nearly 100% of the country’s electricity consumption and 85% of its total primary energy consumption, making Iceland the world’s largest green energy producers per capita and an example that the rest of the world are attempting to emulate. San Francisco has long been a haven for progressive social movements, but today it’s also famous for being the most eco-friendly city in America. The first city in the US to ban single-use plastic bags in 2007, San Fran has the highest per-capita prevalence of eco-friendly services, which includes green architects, engineers and cleaning services. 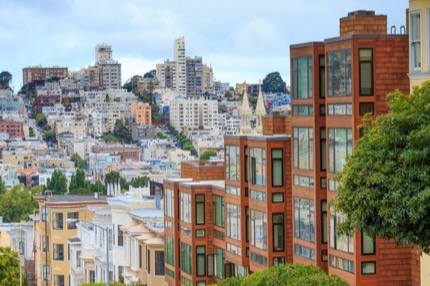 While lofty ambitions of being waste-free by 2020 have been pushed back, San Francisco is still the leader in the United States when it comes to sustainable living and eco-friendly environmental awareness. An ultra-efficient bus rapid transit system serving 85% of its residents. A Green Exchange programme where its 10,000 residents trade trash for food. 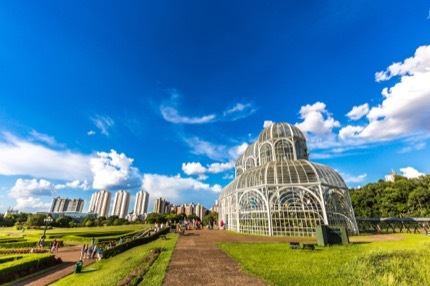 While many cities build landfills to keep up with the ever-growing amount of trash, Curitiba recycles 70% of its garbage, minimising the need for more landfills. Helsinki has cars in its crosshairs. By 2025, the authorities hope to make car ownership a thing of the past and, in the process, want to change the way we travel forever. At least that’s the plan. Technology lies at the heart of this transport revolution: at the tap of a finger, smartphone users can summon on-demand buses, which use algorithms to form the best routes for its passengers. Add that to the city’s ubiquitous nature reserves and stringent eco policies, and you have one of the greenest capitals in Europe. 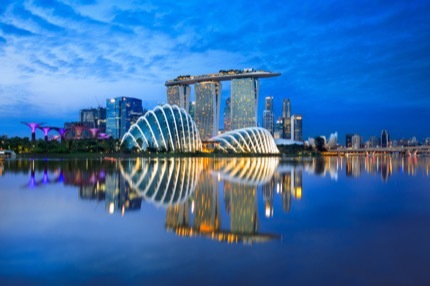 Singapore is so involved in the green movement that its Public Utilities Board has a highly efficient strategy to catch rainwater, investing millions into desalination plants and also reclaiming wastewater (sewage). That’s right – known as NEWater, it is recycled water which uses advanced membrane technologies and ultra-violet disinfection to produce high-quality drinking water. It is mainly used by industries now, and added to the reservoirs to blend with raw water during dry periods. Apart from water, there are more than 1,650 buildings in Singapore that have been made environmentally friendly since 2005; and the government hopes to improve public education about environmental sustainability in the hope of increasing the recycling rate to 70% by 2030. 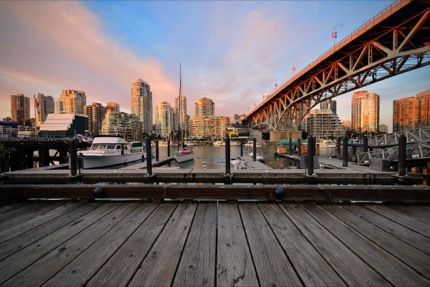 Surrounded by nature, and with residents keen on protecting it, there’s no surprise Vancouver ranks as one of the greenest cities on the planet. Although walking and cycling are the most popular ways of getting around, the city has also embraced other eco-friendly transportation; from electric buses to hybrid taxis. However that’s not all they do for Mother Nature. The city that gave birth to Greenpeace in 1971 is aiming to become the world’s greenest by 2020 with its ‘Bright Green Future’ initiative. 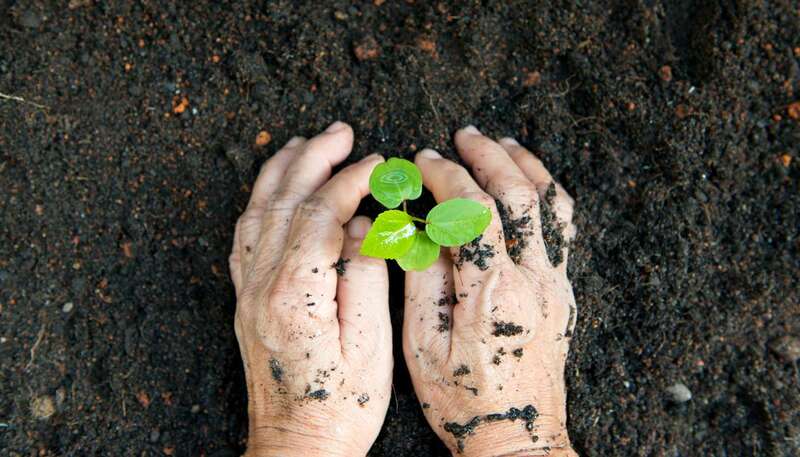 With everything on the agenda from fighting climate change to reducing carbon emissions and harnessing renewable energy, it’s an ambitious goal but one that the community feels is worth pursuing. Whether it’s taking a summer dip in central Stockholm or contributing your waste to power public transport, Sweden’s eco mantra generates some interesting tourist experiences. And there’s plenty more happening behind the scenes. With the country leading the way in recycling, renewable energy and organic food consumption, it’s no surprise Sweden tops the bill in the Global Green Economy Index almost every year, most recently in 2018. 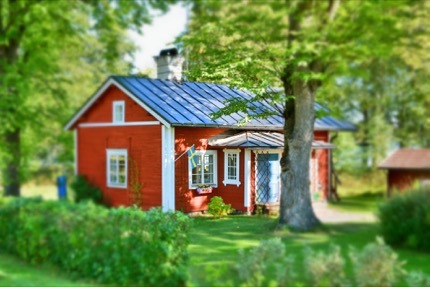 But it isn’t all modern-day innovations; one of Sweden’s constitutional laws, allemansrätt (‘freedom to roam’) grants citizens unwavering access to all of the region’s countryside, whether it be privately or publicly owned (camping is also permitted) – perfect if you really want to immerse yourself in nature. The true culture of a city comes out during rush hour – New Yorkers are brash, Londoners miserable and Copenhagen’s residents? Just like their city: unwaveringly green. 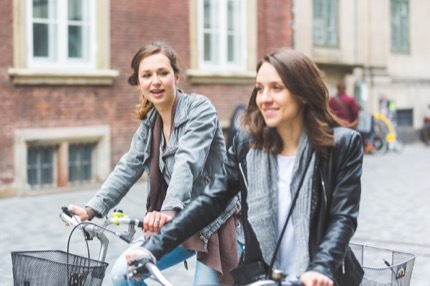 Joining the throng of two-wheeled commuters (roughly as many people cycle to work in Copenhagen as those in the entire USA) is a great way to experience the sustainability of the Danish capital. On two wheels you’ll pass buildings with green roofs (mandatory for all new flat-roofed structures), restaurants that make tasty meals out of would-be waste products (Rub & Stub), and when crossing the Cykelslangen – a purpose-built cycle bridge that snakes playfully over the city’s harbour – solar-powered picnic boats.